Following the success of last year’s Envision Little Rock competition which focused on I-30 and Capitol Avenue in Downtown Little Rock, studioMAIN has announced the location of this year’s competition – the Otter Creek Neighborhood. Three decades ago the Otter Creek neighborhood was envisioned as a planned community nestled in the oak and pine forests of southwestern Pulaski County. Ground broke on the first home in 1976, and now a population of several thousand and over 1,000 homes exists in the 800 acre semi-private neighborhood. 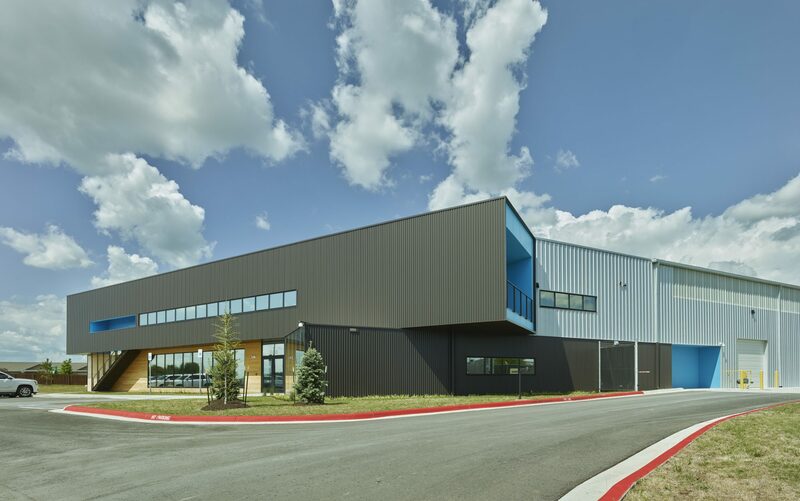 The existing development around Otter Creek caters to car-centric lifestyles, consists largely of low-density, single-use land development and fragmented green space. Rather than razing the existing development and streets with the aim of re-starting to create a new identity, this competition proposes that we utilize innovative design and planning concepts to retrofit the area to create a more diverse, cohesive urban and suburban fabric within walkable and identifiable public spaces. 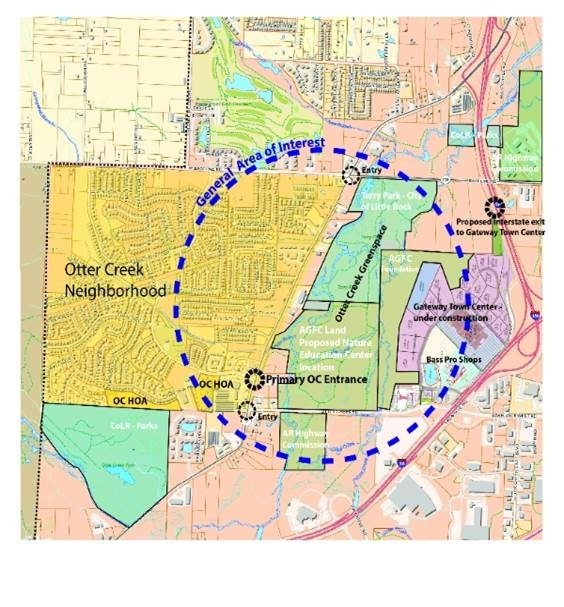 The center of the proposed competition site is the primary entrance to Otter Creek along Highway 5 in Southwest Little Rock. The competition has expanded an existing iconic entry project to include a holistic design challenge. The Otter Creek neighborhood and the City of Little Rock will utilize the designs to assist in defining the future of this area. Rough boundaries include Interstates 430 and 30 to the east and south, Baseline road to the North, and Otter Creek road to the South. Designs should consider connections to nearby existing and planned developments including the Bass Pro Shop and Gateway Town Center retail developments.